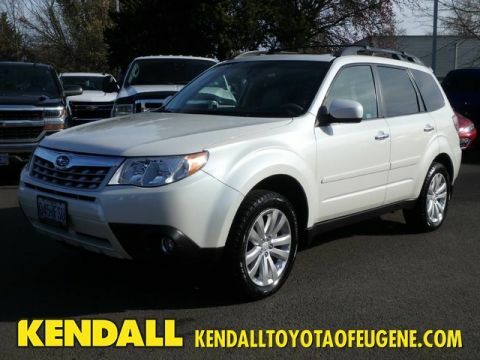 Kendall Budget used car center is pleased to offer this 1-owner 2012 Subaru Forester. On almost any road condition, this Subaru Forester 2.5X offers solid performance, reliability, and comfort. Enjoy the grip and control of AWD performance in this nicely equipped Subaru Forester. You could keep looking, but why? You've found the perfect vehicle right here. More information about the 2012 Subaru Forester: The Forester is not especially rakish or overtly stylish, but it packs a lot of all-weather practicality and safety with surprisingly strong performance--especially in 2.5XT form. Forester 2.5XT models are stealth performance models, as they don't look all that much different from the 2.5X models yet are among the quickest crossover models at any price. Because the Forester has a winning combination of all-wheel drive, a rather light weight and good ground clearance, it's one of the best choices for deep snow or muddy trails. Thanks to the rather boxy body style, its interior is surprisingly roomy and versatile compared to some other rival models that are about the same size on the outside. 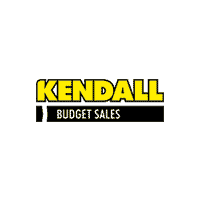 Interesting features of this model are great vehicle for the Snow Belt, strong performance (2.5XT), all-wheel drive for every model, crisp, carlike handling, and Spacious interior Located next to the foot bridge on Good Pasture Island Road, come see us at Kendall Budget Used Car Center.